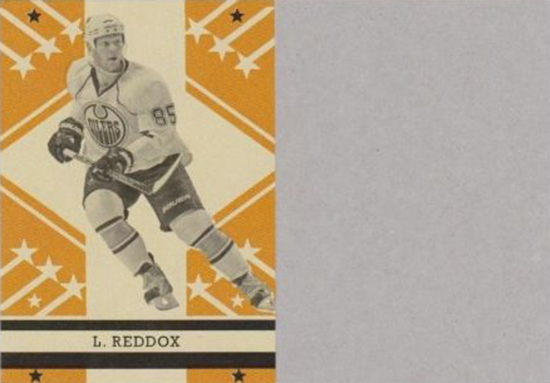 Upper Deck Easter Egg Surprise Inserts: Did You Know These Cards Even Existed? For years Upper Deck has been using “Easter Egg” surprise insert cards in products as a way to add value, encourage collector discovery and create excitement about new releases. Generally fans that discover these cards will flock to online message boards or social media to show off what they’ve found while also trying to discover how rare these items may be. 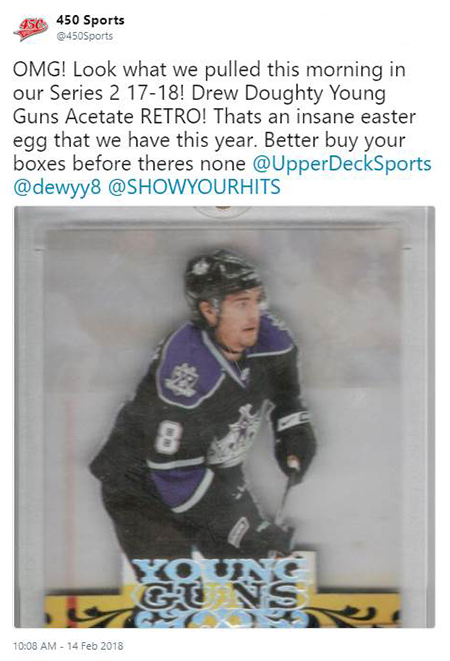 As a rule, Upper Deck will not share any details on these Easter Egg inserts for several weeks to encourage that dialogue amongst collectors. 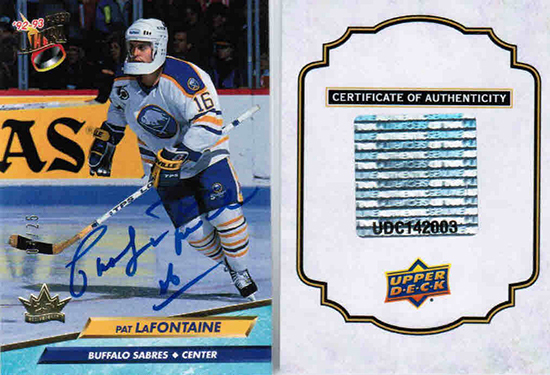 2011-12 O-Pee-Chee NHL® Retro Blank Backs: These surprise inserts pay homage to the blank back errors that would crop up with the original O-Pee-Chee cards. Every season fans enjoy the nostalgia of pulling these from packs. 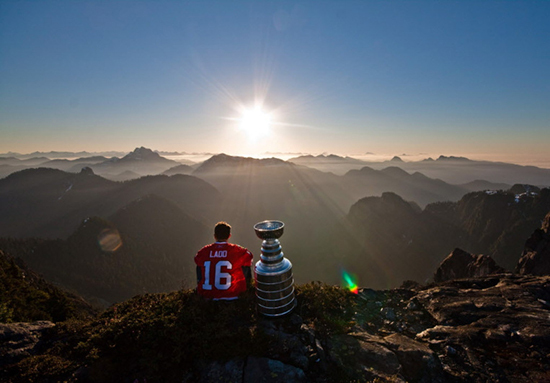 2011-12 Upper Deck NHL® Day with the Cup: The idea was born from reading “The Hockey News” several years back and seeing an image of Andrew Ladd with the Stanley Cup on the top of a mountain range. The second we saw that photo we said to ourselves, “That type of image needs to be an Upper Deck hockey card!” For the last several years these have been some of the most sought after cards in Upper Deck’s flagship release. 2013-14 SP Authentic NHL® Young Guns Acetate: These were a game-changer that caught collectors by surprise. Many asked, “Where did these come from?” These cards have been a huge chase element to SP Authentic ever since and are highly coveted in the card collecting community. 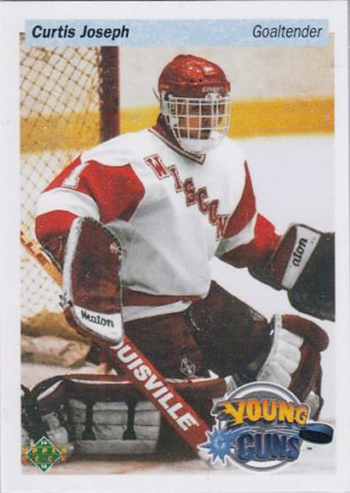 2014-15 Upper Deck NHL® College Young Guns: Brian Leetch, Rob Blake and Curtis Joseph were surprise inserts with a special Young Guns collegiate tribute cards. They were available in both hobby and retail packs, but the odds on these cards were even further out than the Day with the Cup cards. The cards feature the iconic 1990-91 Young Guns design tying to the company’s 25th anniversary of producing hockey cards. 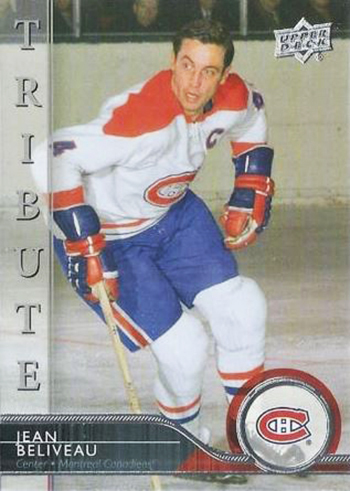 2014-15 Upper Deck NHL® Series Two Jean Beliveau Tribute: The late, great Jean Beliveau was beloved on and off the ice. 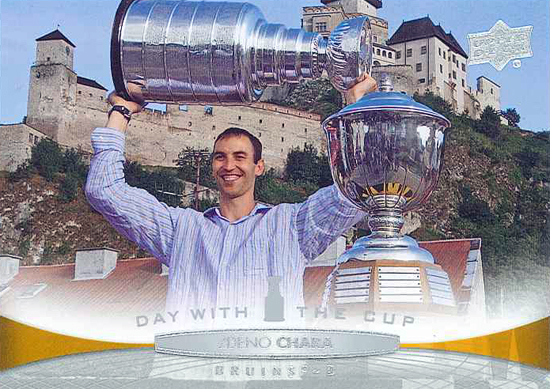 After his passing Upper Deck worked to have a special tribute card included in this release and it was met with great appreciation from fans. 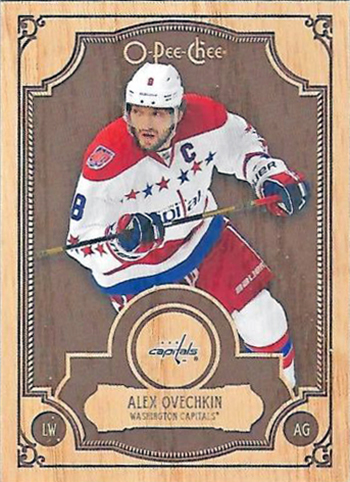 2015-16 O-Pee-Chee NHL® Woodies: Upper Deck used a unique wood-like stock to create O-Pee-Chee “Woodies” and collectors loved them. Featuring some of the game’s best players, these were one of the more successful Easter Egg inserts the company has produced. 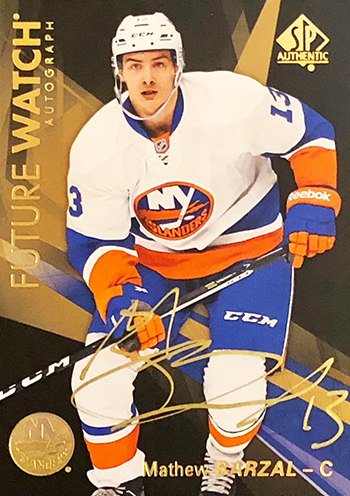 2015-16 SP Authentic NHL® Mystery Black Future Watch Variants: When you think about SP Authentic, you usually think about a nice white crisp and clean design. Discovering a black card with an eye-popping gold autograph really gets collectors talking. These still catch people by surprise and they value out really well. 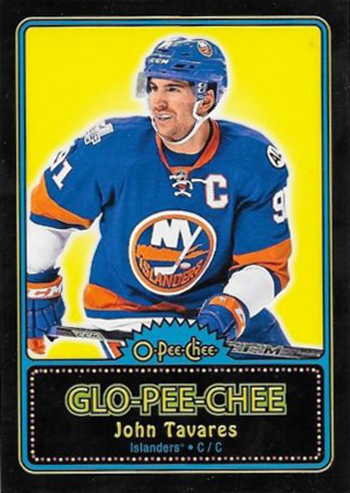 2016-17 O-Pee-Chee NHL® Glo-Pee-Chee: These were some of the most-liked Easter Eggs by our staff. It’s not easy to innovate a 2.5” x 3.5” card stock, so in creating a card that shines when the lights go down, we got excited. Some fans who pulled them may not even realize they glow. 2016-17 NHL® Fleer Showcase 25th Anniversary Fleer Ultra Buybacks: This was a really hard one to pull off and even harder to keep quiet as we carefully worked to purchase back these cards from the secondary market. We loved this set and the checklist we put together for autograph signers was tremendous. 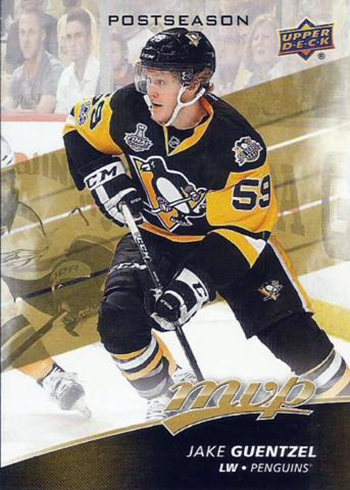 2017-18 MVP NHL® Postseason Cards: These surprise inserts focus on the Stanley Cup Champion Pittsburgh Penguins and their adversary in the Final; the Nashville Predators. Upper Deck was able to quickly turn these around after the Final so they could appear in the first NHL® release of the year. 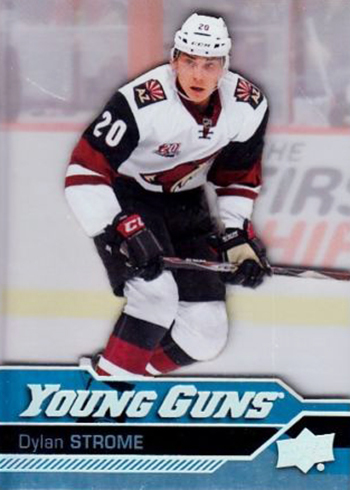 2017-18 Upper Deck NHL® Series Two Young Guns Retro Acetate Cards: Now these cards really caused a stir and nobody saw them coming. We were able to go back before the Young Guns Acetate cards came on the scene and create these retro versions of this popular set. The response was tremendous. There are certainly more Easter Eggs than these, but we don’t want to give up all of our secrets. 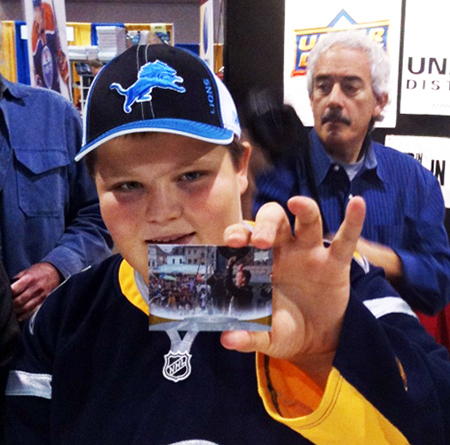 When you’re opening your next Upper Deck box, make sure you are paying attention. You never know what you may find!